Chances are you spend time and money on topical anti-ageing products, but do you invest the same care into what you use from within? Many people don’t realise that preventing premature ageing requires a holistic approach. 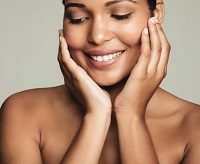 Using potent collagen-boosting topical treatments like retinol is great, but if you’re eating a terrible diet that’s low in nutrients and high in sugar, you’re going to see the results on your skin. Ultimately, when it comes to your health, something that dramatically affects your appearance, good nutrition is vital. However, while taking a multi-supplement is never a bad thing, these often only serve up just a little of everything, as opposed to an effective dose of what you really need.